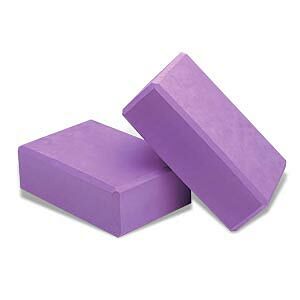 Increase strength, flexibility, and circulation with this high-density, closed-cell foam yoga block. Lightweight and durable, it’s the ideal yoga prop to help deepen your postures and stabilize your body during strenuous poses. Size: 4″ x 6″ x 9″ 30-Day Money-Back Guarantee We want you to be 100% satisfied or your money back! If you’re not satisfied with the performance of this product, please contact Customer Service to return it within 30 days for a full refund of the purchase price, less s&h—no questions asked.